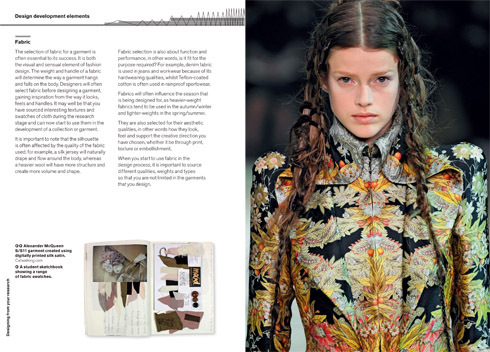 Many fashion designers find the initial research stage of the design process to be the most exciting; but how does a designer develop initial ideas, colour swatches and moodboards into a complete collection? 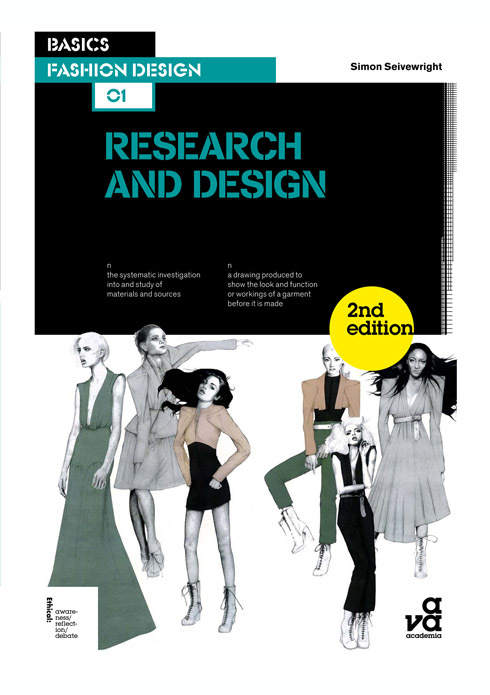 Basics Fashion Design 01: Research & Design, second edition explores the essential stages in the research process for fashion design, from gathering initial ideas and choosing a theme to designing from your research and ways of communicating your ideas. 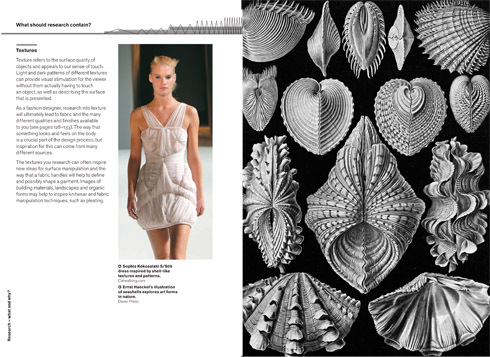 This second edition is filled with new, full-length interviews with contemporary international designers, including Wendy Dagworthy, Omar Kashoura, Jenny Packham and Julien Macdonald, and is richly illustrated throughout (see a selection of our favourite spreads below!). This visually stimulating book is designed to inspire you in your own creative work whether you’re a student or an industry professional! 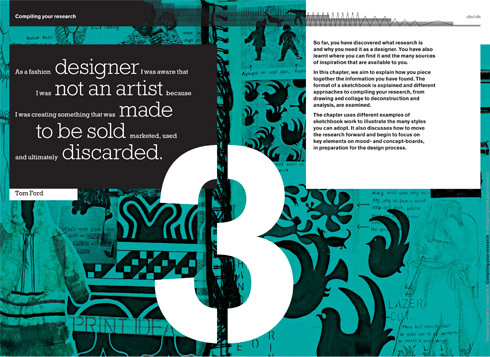 The book’s author, Simon Seivewright, is an academic, teacher and freelance designer. 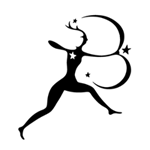 He has worked with leading fashion houses and designers including Vivienne Westwood and Christian Lacroix. He has taught at the London College of Fashion and is currently a course leader at Northbrook College, teaching Fashion Clothing and Textiles. 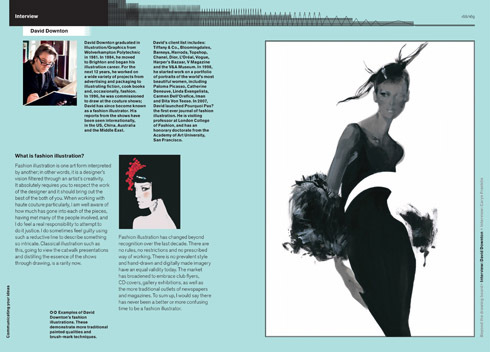 Basics Fashion Design 01: Research & Design is available to buy from the AVA website. The following titles in the Basics Fashion Design series are also included in our website sale (ends 13th Feb)!